"La Mordidita" (English: "The Nibble") is a song recorded by American singer Ricky Martin featuring Yotuel Romero, from his tenth studio album, A Quien Quiera Escuchar (2015). It was released on April 21, 2015 through Sony Music Latin as the third single from the album. The song was written by Martin and Yotuel alongside Pedro Capó, Don Omar, José Gómez and Beatriz Luengo while the production was handled by Rayito and Yotuel. It is an uptempo song with prominent elements of Latin pop and lyrics detailing feelings of lust for a desired person. The song received positive reviews from music critics who praised its blend of many music elements such as salsa, cumbia, and reggaeton. It further received numerous nominations at several Latin award ceremonies. "La Mordidita" was commercially successful across Spain and other countries of Latin America. It reached number six on the US Billboard Hot Latin Songs and number three in Spain where it was certified double platinum. The music video for "La Mordidita", filmed in Cartagena, Colombia and directed by Simón Brand, premiered on June 12, 2015. It features Martin dancing on the streets accompanied by dancers, models and ballerinas all infected with a "dancing virus" transmitted through a bite. 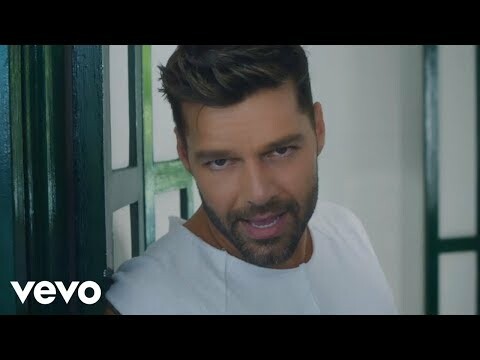 It received positive response from the public, winning the Video of the Year award at the Premio Lo Nuestro 2016 and becoming the singer's most-viewed video on Vevo. As part of the promotion of "La Mordidita", Martin made several appearances on televised shows and award ceremonies where he performed the song live. It was also performed live during his One World Tour (2015-17).